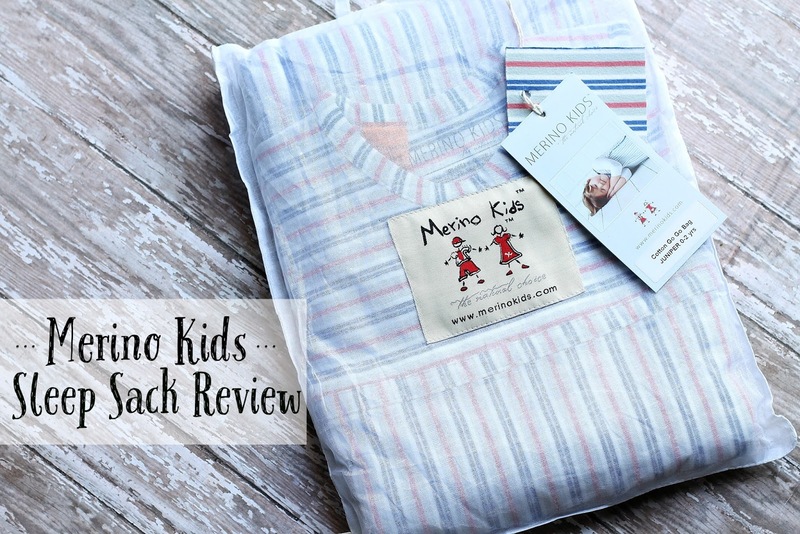 I was recently approached by Merino Kids to review one of their sleep bags. I've gotta say, it was well worth reviewing. We've been using a sleep sack or some form of sleep sack/swaddle since we got home from the hospital. In all honesty I will be taking my sleep sack to the hospital with baby #2. They just sleep so much better with one. I quickly fell in love with the Merino Sleep Bag before I even got a chance to wash it and test it out on Harrison. You see, I'm a blanket person. There is nothing better than the weight of a comfy blanket, so I know that the same probably holds true for the baby as well. It's comforting to feel the weight of one and not be out in the open exposed, and much colder for that matter. As far as sleeping with a sleep bag and without one, we sleep better with. The only problem is that the only one I had for his current size was a fleece sleep bag from another company and it was far too warm for napping. Our house is typically around 72 during the day and much cooler at night, hence the need for a fleece sleep bag. Plus the nursery is always cooler. The weight of the Merino Sleep Bag is honestly the perfect napping weight, or summer sleep bag for our South Louisiana weather. Plus it's heavy feeling enough to give you that cozy feeling. I honestly just want a blanket made out of this sack in my size. Aside from the fact that I just love the material, here are a few things I love about it. Their sleep bag feature two layers of organic cotton, it's 100% natural with no pesticides used. It fits a growing child and has snaps to adapt to the size. They also have a safety belt aperture that allows you to transition your child from crib, to car seat, to stroller without removing the sleep bag. Plus it's ideal for use in warmer conditions... which we happen to live in most of the year. In the photo above you can see the safety belt aperture clearly. We are going out of town next month and I prefer to dress the baby warmly for long car rides, you better bet I'm strapping him in with his Merino Sleep Bag on. He will be a much nicer car baby when he's snuggled up and warm. Now in the photo above and below you can clearly see the snaps that are on the arm holes. These are used to adjust the size of the arm hole on the baby. Right now I like to snap it for a tighter fit, but as he grows I will be able to unsnap it and increase the size. Oh and don't be alarmed, this child tummy sleeps, side sleeps, back sleeps, and ends up all over the crib. This is how he was when I came in from his nap to wake him up. Now below you can get a clear view of the zipper. The way this sleep bag zips is wonderful, it allows for easy of diaper changes without removing the sleep bag easily. Below is my favorite feature. Instead of zipping up the middle this sleep bag zips around the bottom and ends under one arm. Then you snap it together over the shoulder. Well I have a baby who hates having his arms taken out and put through things when he just isn't in the mood for it... which happens to be before and after sleep. This prevents you from wrestling both baby arms through holes. Just snap it over the shoulder. Finally my sleepy head woke up, can you tell how well he was sleeping in his sleep bag? Our naps have honestly been revolutionized with the Merino Sleep Bag. Since it's so comfortable he is more willing to lay still even when he's away and rest for a moment, eventually drifting off to sleep. Rarely have we had a nap that he fights me on and I usually have to wake him up to nurse at the end of nap time. I've seriously been sold on the Merino Bags and we will be collecting every size they have come up to this bag come baby #2! Don't judge the 45 pacifiers in the crib, you gotta do what you've gotta do to get sleep these days. Thank you so much Merino for letting me review one of your wonderful sleep bags, this mama is super grateful for the better sleep we are getting in this house! I was not monetarily compensated for this review, I was only provided the product you see featured. All opinions are my own.